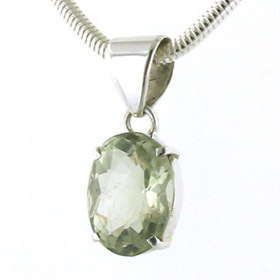 Green amethyst necklace in sterling silver. 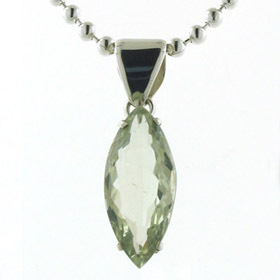 Featuring 14 crystal clear, diamond cut green amethysts, this exquisite green amethyst necklace is a show stopper. 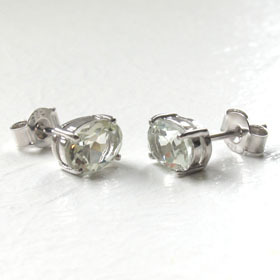 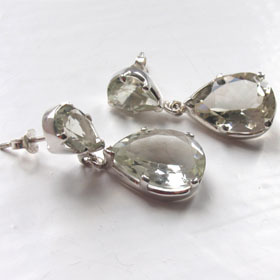 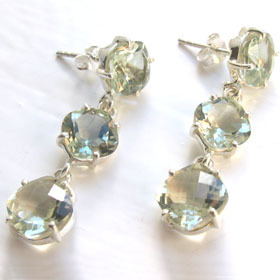 These gemstones are flawless and brilliant, radiating soft green sparkle from every facet. 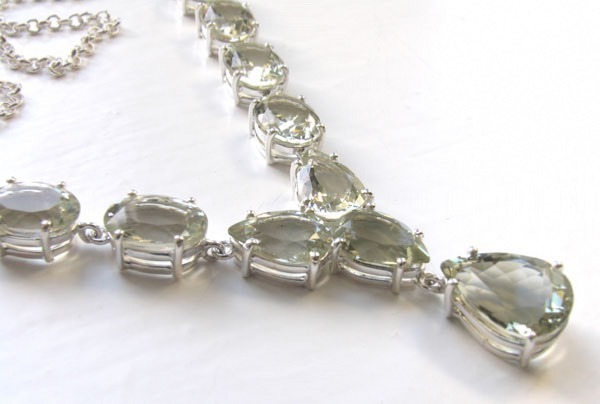 Each amethyst is claw set into an individual sterling silver setting. 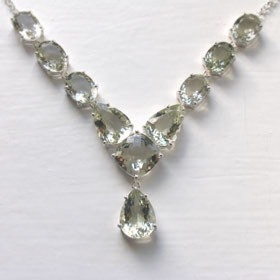 The gemstones are large and make this necklace a glamorous and unforgettable piece of green amethyst jewellery. 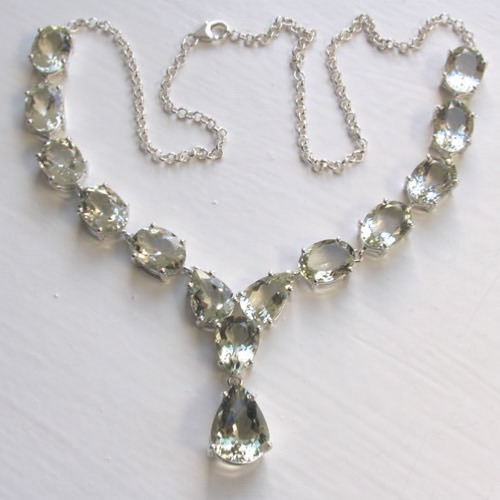 The necklace is finished with a silver belcher chain and fastens with a lobster claw clasp. 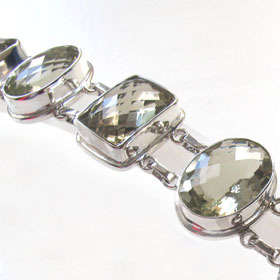 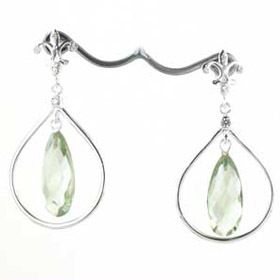 See our collection of green amethyst bracelets and green amethyst earrings for a coordinating set. 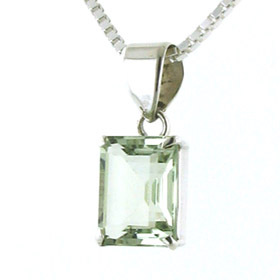 Your jewellery will be lovingly packed and boxed free of charge. 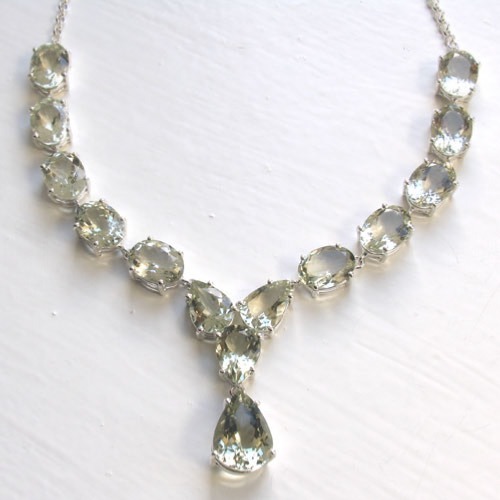 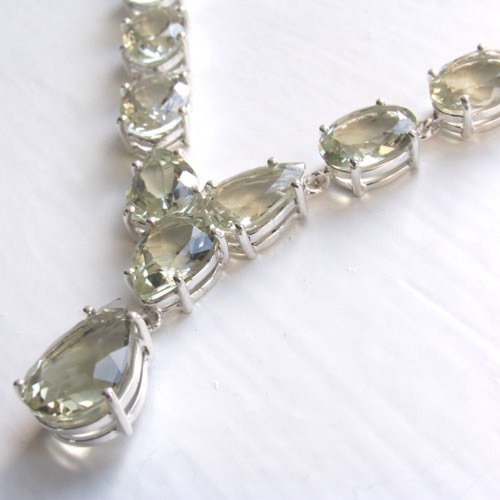 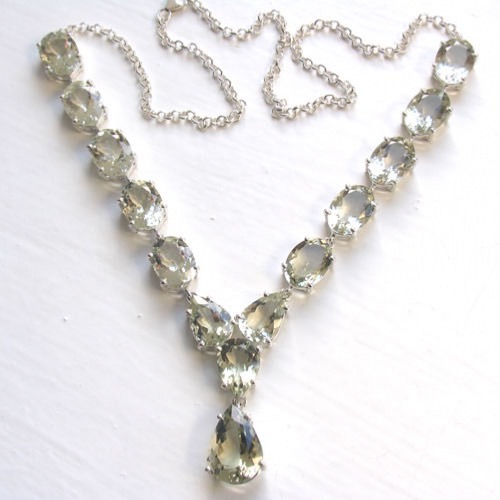 Green amethyst necklace length 20"